More than four years ago, I wrote my first book review for this blog. That was for Running With the Demon, by Terry Brooks. On my YouTube channel, I’ve started a series called Retro Book Reviews, where I will talk about books I’ve reviewed in the past, including how my impressions may have changed and how I feel about them now. Here’s the first one! If you’ve read this book, what did you think of it? Let me know in the comments below. Myranda is a young woman more interested in staying alive than being a hero. Orphaned by a continent-spanning war that has gone on for decades too long and shunned for failing to support it, she has been on the move since she was only a child. One can hardly blame her when she thinks that the chance discovery of a fallen soldier’s priceless cargo is the moment that will change her life. No one could predict just how great that change would be. It will lead her through an adventure of rebels and generals, of wizards and warriors, and of beasts both noble and monstrous. Each step of the way will take her closer to the truth of her potential, of the war, and of the fate of her world. The Book of Deacon by Joseph R. Lallo is the first book in a classic fantasy series of the same name. It’s a book that has its issues with pacing, lack of contractions in dialogue, and some not entirely well-developed characters, but I did enjoy it. In the beginning, we have Myranda, a young woman who’s been orphaned and is wandering around the land without much of a direction when she gets mixed up with a sword, a malthrope, and the entire military wanting her. There’s a lot more to the girl than is directly told to us in the book, but it isn’t very subtle foreshadowing. As she gets caught up in all this unwanted attention, her life takes a surprising turn, joining a couple different groups, becoming a student twice, and a cliffhanger? First of all, Myranda is our heroine. She’s been wandering for a long time, on the move because she’s a pacifist, and people who are against the war are not tolerated. She’s fiery, distrustful, and quick to argue. And she has a talent for magic. Leo, who is a fox-man malthrope, is like night and day. I cannot figure out his character at all, because he isn’t what he seems to be. I still don’t know what’s going on with him. Deacon, the title character, turns out to be a kind of grey magic enthusiast who is your typical intelligent character who isn’t completely accepted. And there’s Myn, a baby dragon who is mischievous, but grows a lot. There’s also a host of masters of their brands of magic who have their own personalities that don’t show much depth that I won’t get into. And then we have the main antagonist, Trigorah, who is an elf with a connection to Myranda. While she’s the antagonist, we see very little conflict, and she doesn’t seem entirely bad. The story itself has some odd pacing. It’s kind of like it’s being done in three acts. The first act is slow-paced, wandering in a cold winter land, trying to survive. The second act sees a lot more action. The final part is slow-paced again, with a lack of real conflict involving any kind of real danger. The first part didn’t hook me. The second part looked far more promising. The third part slowed down a lot, but I enjoyed it. It was far more lighthearted, though there was still a dark side. It didn’t feel complete, though. But it is a series, and the second book is a continuation. The world that Lallo has developed is an interesting one. Several kingdoms merged into one and has been waging an ongoing war with the southern countries for decades. Neither side seems interested in ending the war. War is life, and if you don’t like it, you’re an outcast. I personally can’t see how a war that reaches decades can be sustained, though. The demographics of the lands would result in large population decreases and a lack of children. But that doesn’t seem to happen. The writing style isn’t very polished, as I think it’s Lallo’s first book, but it is perfectly readable. The thing that really stood out for me was the dialogue. It didn’t seem very natural. It lacked contractions, for one thing. 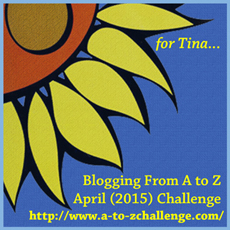 As the story progressed, I felt that it got better, but the beginning was a bit rough in that area. Overall, I give this book three stars. It has a slow start, but picks up the pace later on, and settles into a state of comfort towards the end. I actually enjoyed reading about Myranda learning magic. It felt like there should’ve been more conflict, though. But I guess that’ll happen in the next book, which I have an interest in reading. 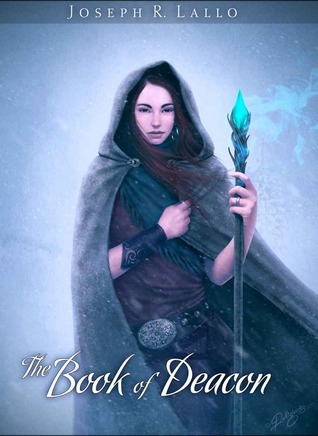 If you enjoy classic fantasy with a bit of a slower pace, then I recommend this book to you. Which Fantasy Series Should I Try? I’m a fan of fantasy novel series. I enjoy going back into worlds that I’ve discovered before, and exploring it more. I’ve read parts of several series, including Shannara, The Wheel of Time, A Song of Ice and Fire, Malazan, and so on. But I always enjoy a new world to explore. So, I have a poll for you. Please vote for the series you think I should read, and let me know why you chose that in the comments below. This is a long list, and you can vote for multiple series. Thanks for voting! I’ll definitely use the results to help decide on what I should buy. In the vast dominion of Seven Cities, in the Holy Desert Raraku, the seer Sha’ik and her followers prepare for the long-prophesied uprising known as the Whirlwind. Unprecedented in size and savagery, this maelstrom of fanaticism and bloodlust will embroil the Malazan Empire in one of the bloodiest conflicts it has ever known, shaping destinies and giving birth to legends . . .
Set in a brilliantly realized world ravaged by dark, uncontrollable magic, this thrilling novel of war, intrigue and betrayal confirms Steven Erikson as a storyteller of breathtaking skill, imagination and originality–the author who has written the first great fantasy epic of the new millennium. 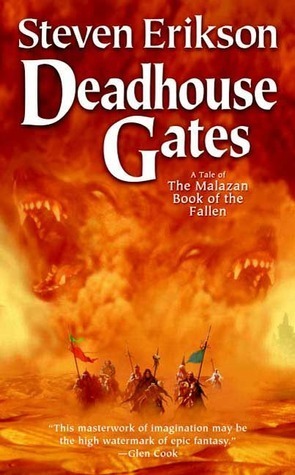 Deadhouse Gates is the second novel in Steven Erikson’s epic fantasy series The Malazan Book of the Fallen. This continues the story that began in Gardens of the Moon. It moves away from Genabackis and on to another continent in an area called the Seven Cities. There are some familiar faces, but also many new ones. I find that one of the strengths of this book is the characters. It is very character-driven, and has many strong personalities. The cast of characters is very large. Felisin is the younger sister of Ganoes Paran from the first book, and is a major focus here. She has a very strong personality and incredibly defiant. Heboric Light Touch is an intriguing ex-priest who shows some very interesting abilities. We also get to meet Fiddler, Crokus, Apsalar, and Kalam again. They’re all from the first book. Kalam has a focused mission, so we spend a lot of time with him, and I really enjoyed reading his part. Apsalar is going through a lot of changes, while Crokus and Fiddler watch on. These three are still together from Darujhistan. The Wickan Coltain is a military leader, and his quest to bring the refugees of the Seven Cities is the main focus of the story. He’s a rather unconventional leader. The Imperial Historian Duiker is also a major character who is both an old soldier and an observer of the exodus. He is also an acquaintance of Heboric’s. The pair that impressed me the most were the half Jaghut Icarium and Mappo the Trell. The relationship between Icarium and Mappo was absolutely fascinating, and their friendship was powerful. And finally, although she played a small part, Ganoes Paran and Felisin’s older sister Tavore is now that Adjunct. She’ll likely play a much larger part in later books. They were my favourite characters in this book. I loved those two. There are many more characters, but these were the ones that had the greatest impact, I thought. The world that Erikson created is vivid and realistic. I felt like I was there with the characters. The worldbuilding involved in this series is extensive. The desert of Raraku felt dry and dusty. I could imagine I was there. The way Erikson describes the scenes painted a realistic picture in my mind. The towns and cities all had their own unique character, the landscapes were amazing, and I felt like I could experience the weather. Excellent job. The story was a bit different than what we saw in Gardens of the Moon. This time, we had more of a journey rather than a battle in one location. I felt like a tourist at times seeing many new places, since they kept traveling. The main focus was on Coltaine’s Army protecting the refugees from the Seven Cities as they were pursued by the rebel commander and former Imperial soldier Korbolo Dom. It was called the Chain of Dogs, which is shown on the maps in the book. There were many battles and many deaths. Kalam had his own mission to go straight to the Empress. Felisin had her sights on her sister Tavore, but she had an even greater destiny. Mappo and Icarium had their own journey, but there was something very interesting about their mission, and it had more to do with Icarium’s sad past. And finally, there was Apsalar, Crokus, and Fiddler’s journey, which led to a few surprises. Many paths crossed, many separated, and many joined together. It was like these story threads were woven together. It’s very intricate and complex, but very compelling. The Malazan series is proving to be a very good series, and this second installment was incredibly enjoyable. I loved immersing myself in this world, even though it was treacherous and filled with war and death. The thing about this series is it’s dark and gritty. You should expect major characters to die unexpectedly. It’s war, and it isn’t pretty. But what a story it is. I would give this 5 out of 5 stars. It was just that good. Highly recommended. I recommend you check this book out, The Light of Kerrindryr. It’s the first novel of The War of Memory Cycle, a fantasy series that I’m anxious to start reading myself. Best of all, it’s free for a few days, so I recommend getting it and reviewing it. H. Anthe Davis is also big on worldbuilding. This is something I love doing, as well. Her blog has a lot of worldbuilding posts and pages to explore. It’s all very fascinating. Congratulations on the third book! On Tuesday, I was treated to this, a very cultural experience. Taiko drums. A picture isn’t enough? Okay, here’s the video I took. 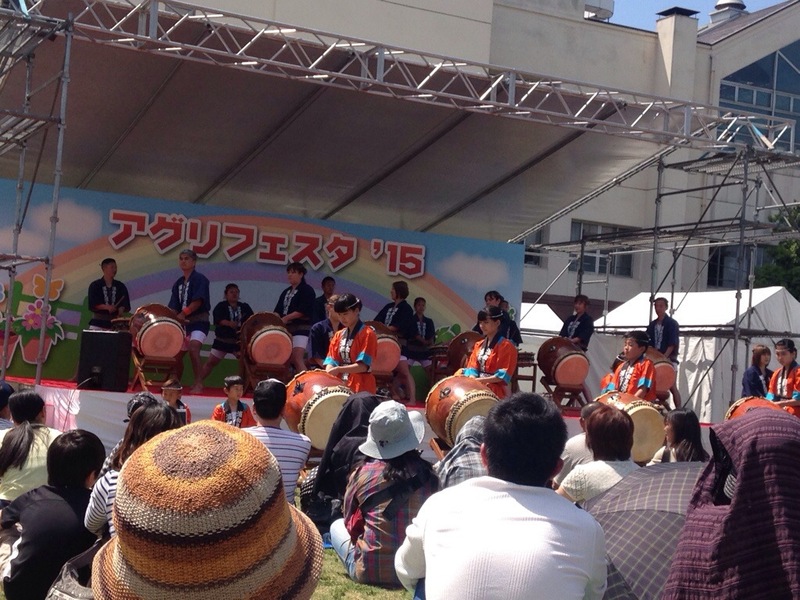 This was at an agricultural festival, but like many festivals in Japan, it had the staples: taiko drums, traditional dancing, and food stalls. It’s things like these that make Japanese festivals uniquely Japanese. When developing a world for science fiction and fantasy, culture is very important. Festivals, food, music, dance, clothes, and holidays are all very important in creating a believable and realistic society. It’s something I really enjoy seeing when I read fantasy and science fiction novels. Considering the books you’ve read, what cultural aspects stand out? Think of specific cases, like the feasts of A Song of Ice and Fire or the music of Lord of the Rings. I look forward to your answers. 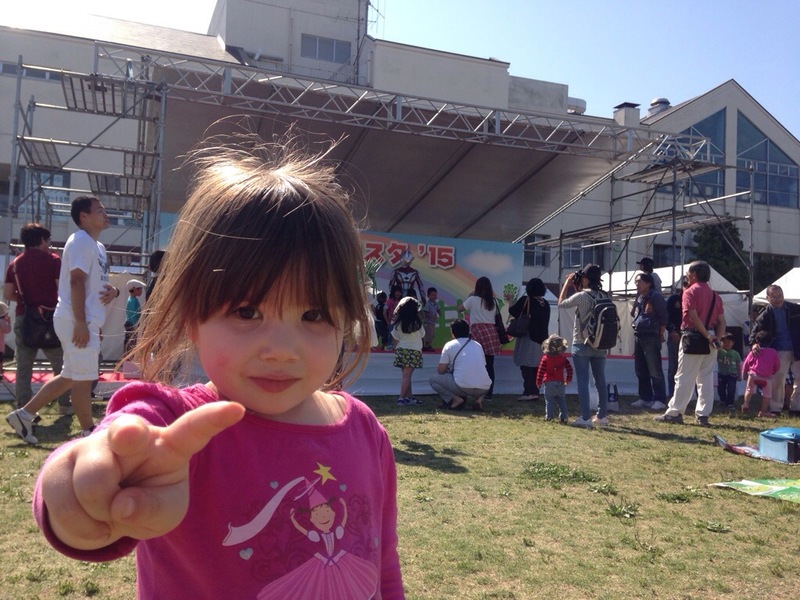 Today, my family went an agricultural festival and who appeared? Ultraman! He’s a very popular hero to children in Japan. Many TV series, movies, and public appearances. My daughter wanted to meet him, but we had no time. I got this picture, though. This had me thinking, in fiction, and particularly in speculative fiction, have there been any instances of fictional heroes in the popular culture of that world? Imagine a superhero story that dwarf children love. He could be called Super Gold Digger. Or an action hero for Vulcans named The Logical Pacifist. What are some hero names you can think of for popular sci-fi and fantasy novels?